Dynamite RC Adjustable 1/5th Scale Clutch « Big Squid RC – RC Car and Truck News, Reviews, Videos, and More! Looking for an adjustable and heat resistant clutch for your 5th scaler? 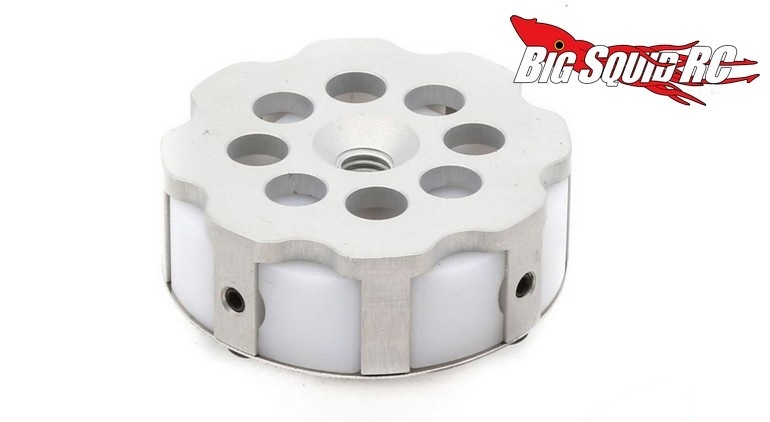 If so, have a look at the new Adjustable 1/5th Scale Clutch from Dynamite RC. The Dynamite clutch is externally adjustable, making it easy to dial-in to any surface, and was designed for fade-free performance. The Dynamite clutch fits a variety of different vehicles like the Losi 5IVE-T, Losi Desert Buggy XL, Losi 1/5 MINI WRC 4WD Rally Car, and the HPI 1/5th scale Baja. The clutch is street priced at $89, it has a part number of #DYNE1250, and they are expected to start shipping in June. Click Right Here for more details over on the official Dynamite website. Get more Dynamite news Right Here on BigSquidRC.